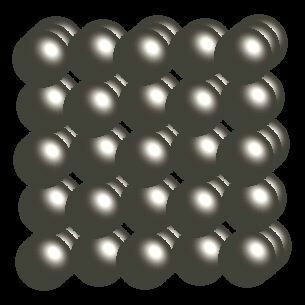 Helium atoms have 2 electrons and the shell structure is 2. The ground state electronic configuration of neutral helium is 1s2 and the term symbol of helium is 1S0. Helium: description Your user agent does not support the HTML5 Audio element. Helium is one of the so-called noble gases. Helium gas is an unreactive, colourless, and odourless monoatomic gas. Helium is available in pressurised tanks. Helium is the second most abundant element in the universe after hydrogen. α-particles are doubly ionised helium atoms, He2+. Helium is used in lighter than air balloons and while heavier than hydrogen, is far safer since helium does not burn. Speaking after breathing an atmosphere rich in helium results in a squeaky voice (don't try it!). Helium is present in the atmosphere at about 0.0005% (1 part in 200000) by volume and is an important component within hydrocarbon gases in the USA. Its origin in these gases is traced to the decay of radioactive elements in rocks. 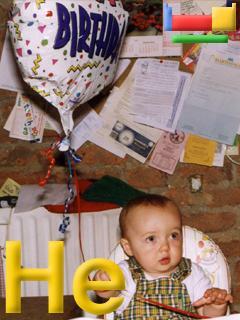 Emma's first birthday balloon is filled with helium and so rises in air. The solid state structure of helium is: bcc (body-centred cubic). Helium has no biological role. Reactions of helium as the element with air, water, halogens, acids, and bases where known. Binary compounds with halogens (known as halides), oxygen (known as oxides), hydrogen (known as hydrides), and other compounds of helium where known. Bond strengths; lattice energies of helium halides, hydrides, oxides (where known); and reduction potentials where known. Helium was discovered by Sir William Ramsay and independently by N. A. Langley and P. T. Cleve in 1895 at London, England and Uppsala, Sweden. Origin of name: from the Greek word "helios" meaning "sun". 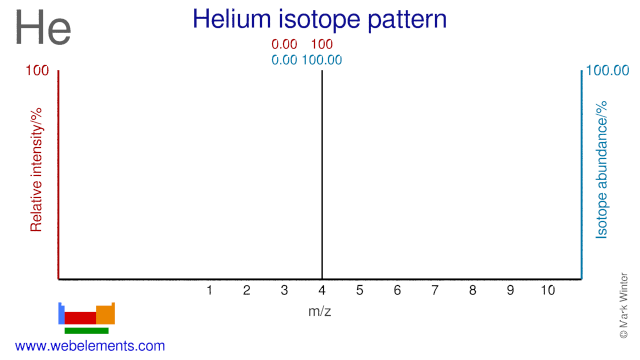 Isotope abundances of helium with the most intense signal set to 100%. Isolation: there is very little helium on earth as nearly all present during and immediately after the earth's formation has long since been lost as it is so light. Just about all the helium remaining on the planet is the result of radioactive decay. While there is some helium in the atmosphere, currently its isolation from that source by liquefaction and separation of air is not normally economic. This is bacause it is easier, and cheaper, to isolate the gas from certain natural gases. Concentrations of helium in natural gas in the USA are as high as 7% and other good sources include natural gas from some sources in Poland. It is isolable from these gases by liquefaction and separation of from the natural gas. This would not normally be carried out in the laboratory and helium is available commercially in cylinders under pressure.